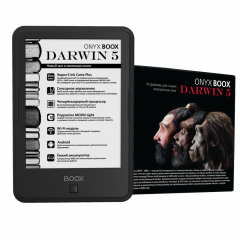 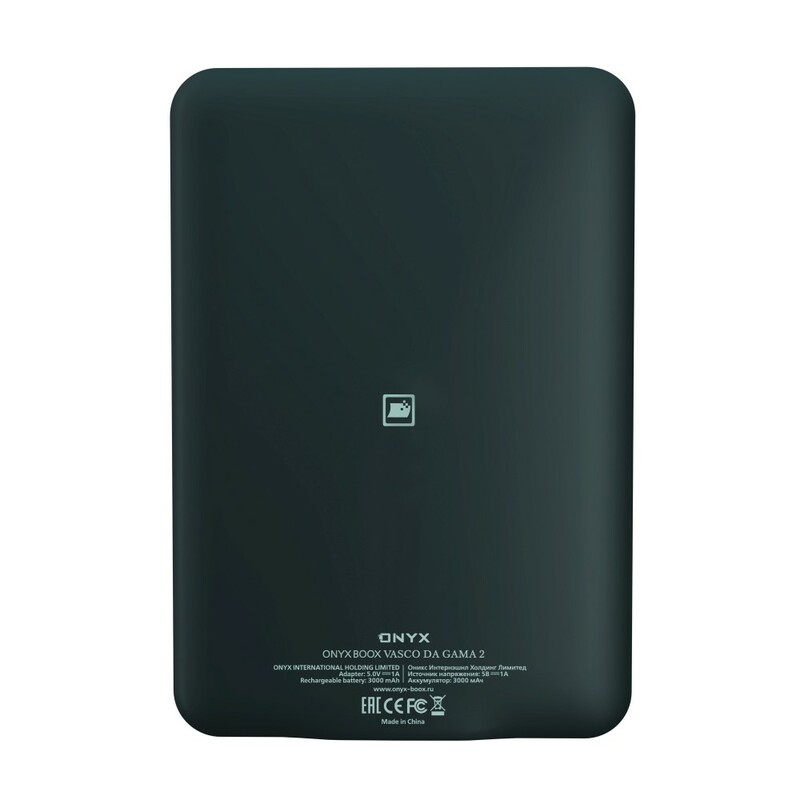 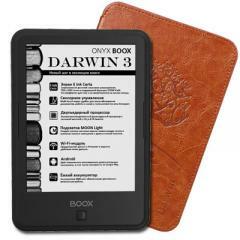 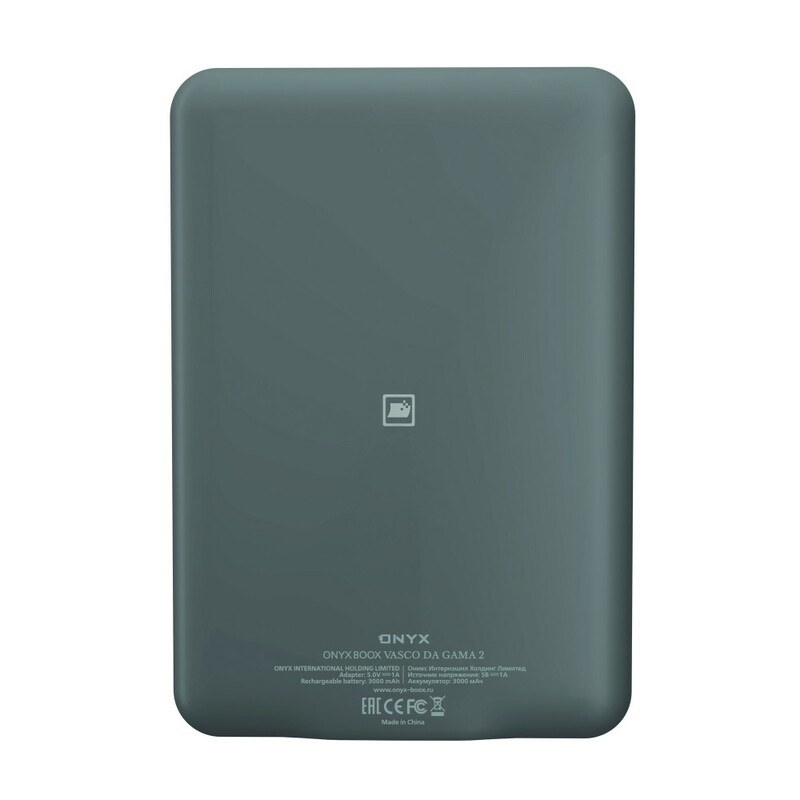 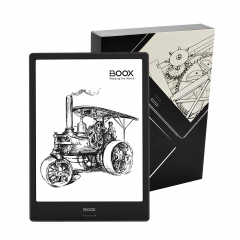 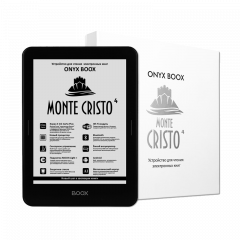 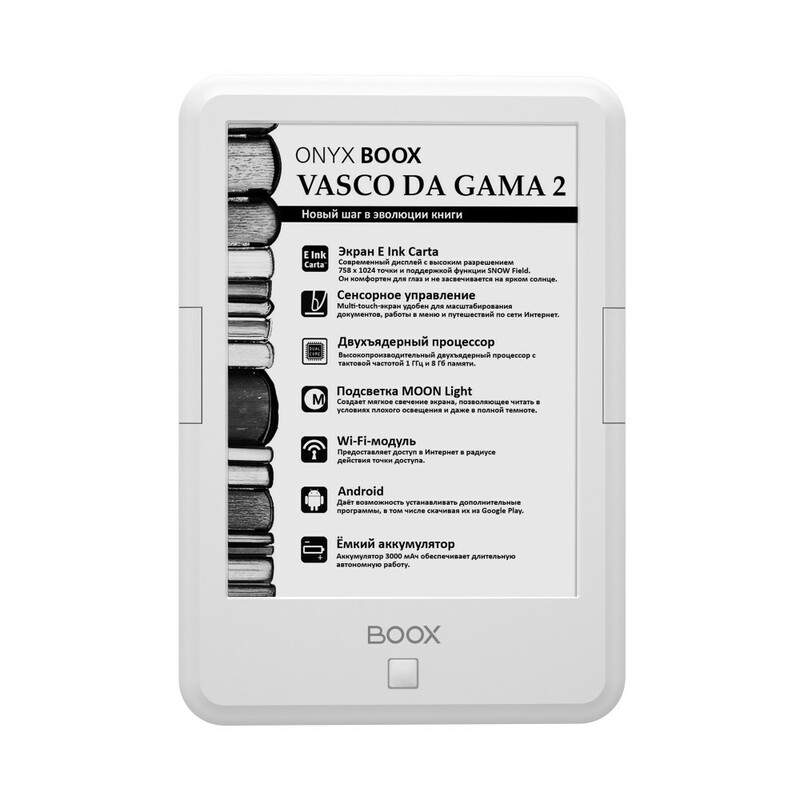 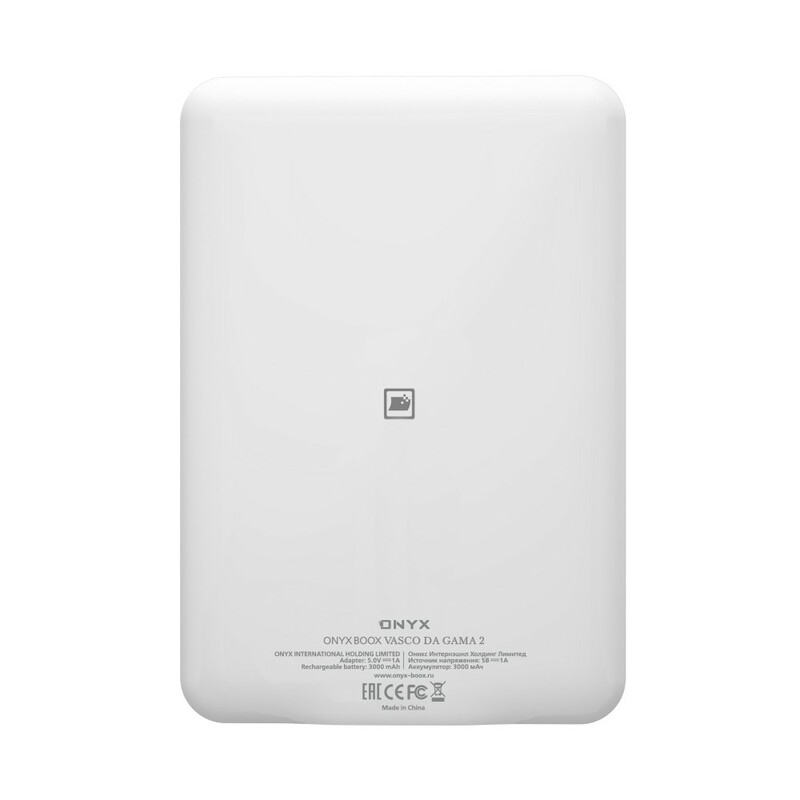 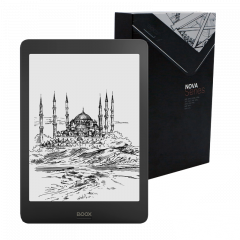 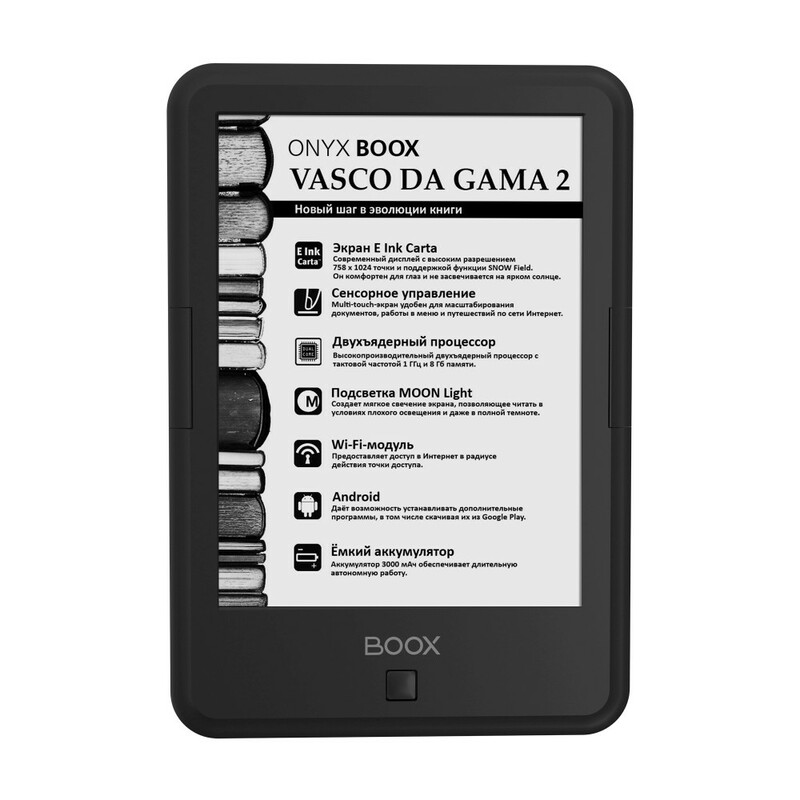 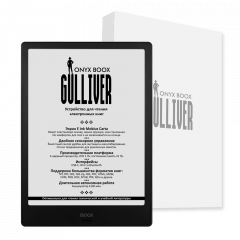 ONYX BOOX Vasco da Gama 2 is a device for reading electronic books with the latest "electronic paper" E Ink Carta screen and built-in MOON light system and the SNOW Fiel function. 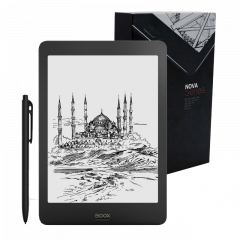 The reader has outstanding technical specifications: a high-performance 2-core processor, 512 MB of RAM and 8 GB of internal memory. 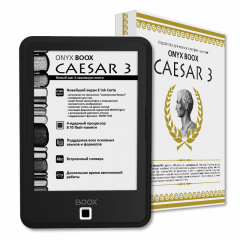 The Android operating system thanks to its rich set of programs allows you to open text files of almost every format and to configure settings of the text for more comfortable reading. 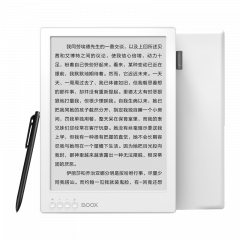 In addition, the device supports network libraries. 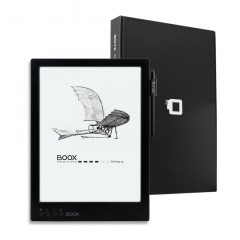 Connecting to the Internet via Wi-Fi, you can get access to hundreds of thousands of free books with a convenient search by title, author, genre or series. 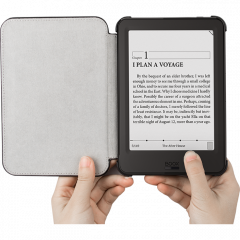 The MOON Light technology enables one to use the device in the dark or under poor lighting conditions. 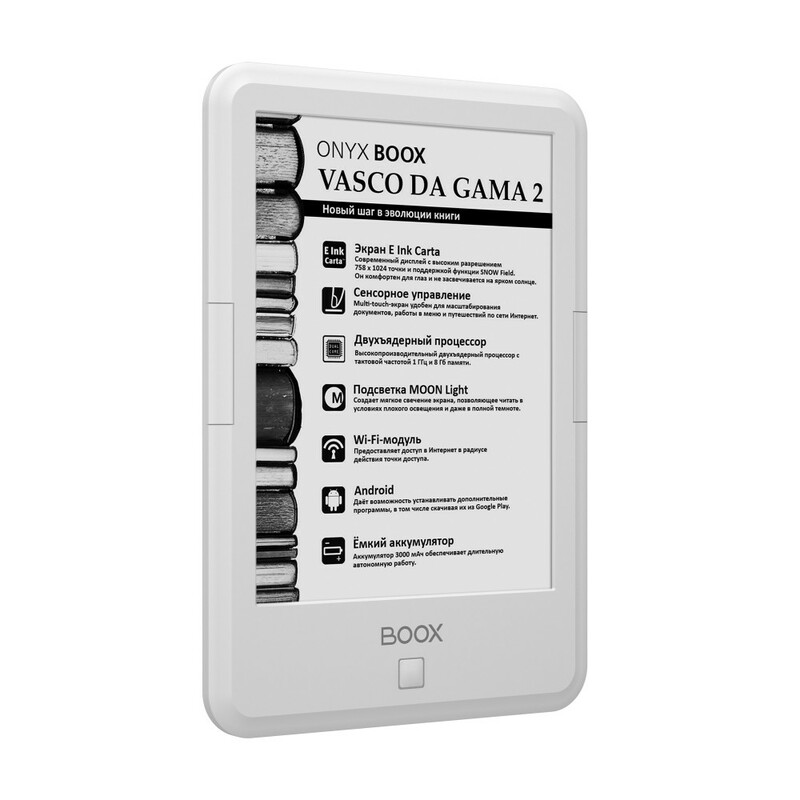 When this function is in use, soft luminescence of the screen comfortable for reading in dark rooms is being generated. 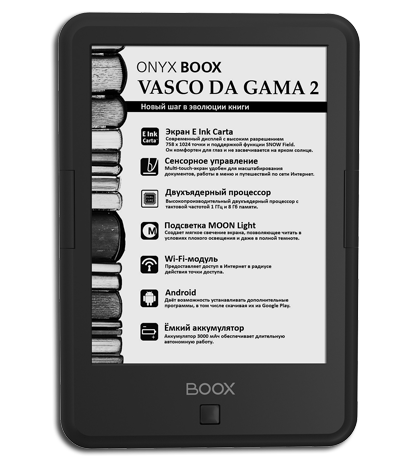 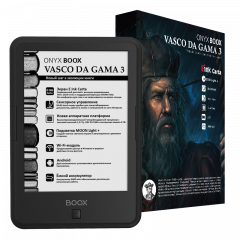 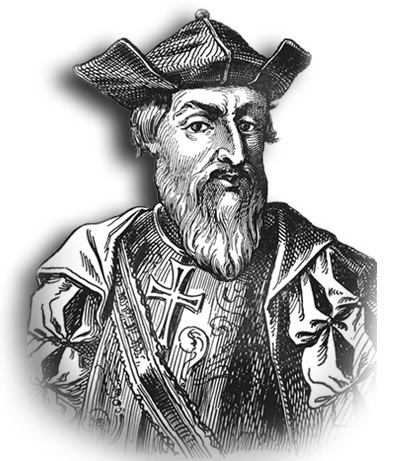 ONYX BOOX Vasco da Gama 2 has pre-installed English-Russian and Russian-English dictionaries. 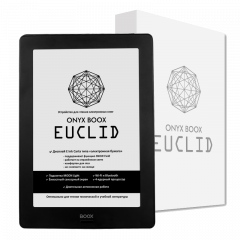 Want to translate an unknown word? 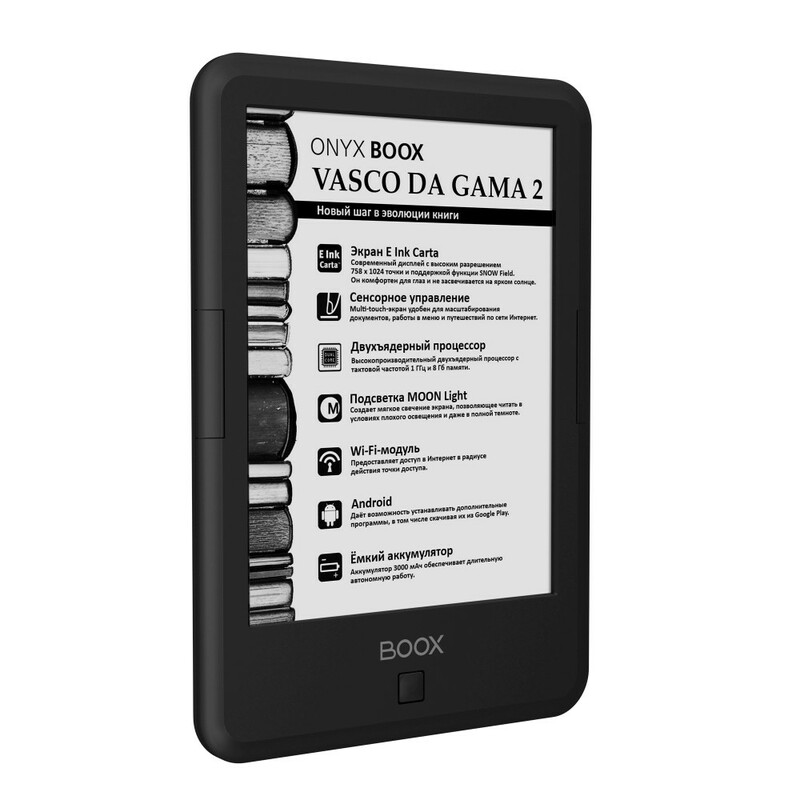 Just touch it! ONYX BOOX Vasco da Gama 2 allows the user to write personal software using the potentials of the Android 4.2 platform.